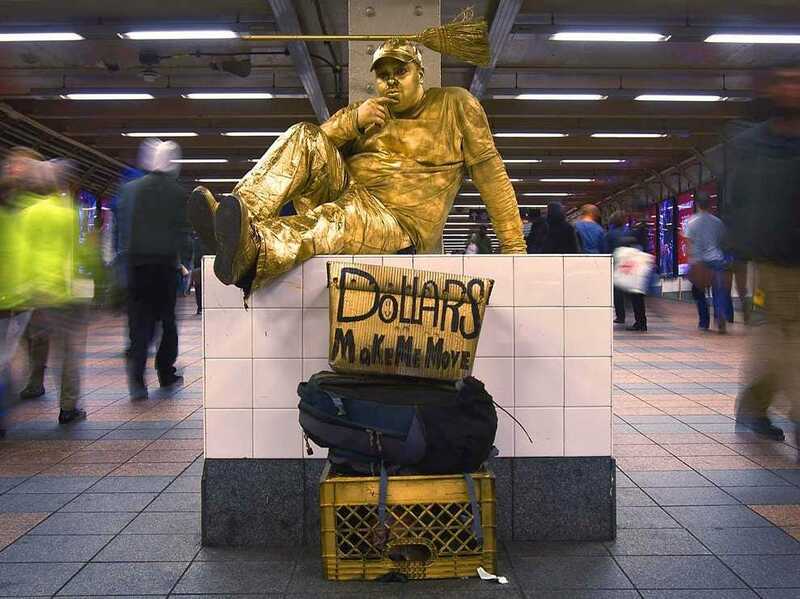 REUTERS/Carlo AllegriA man who gave his name as ‘The Golden Child’ remains motionless until people put a tip in his basket in the subway in the Manhattan borough of New York. Republicans took control of Congress on Tuesday in what one Democratic strategist characterised as a “F—ing. Bloodbath.” Markets weren’t too fazed. In fact, the Dow actually hit a new high. 3. The ISM services index slipped to 57.1 in October, which was a bit lower than the 58.0 level expected. Still, the number still reflects a healthy pace of growth. What really raised eyebrows was the employment sub-index, which jumped 1.1 points to 59.6, the highest level since August 2005. “This appears to be consistent with payroll growth of 450,000 per month, which is not going to happen,” Pantheon Macroeconomics’ Ian Shepherdson said. Shepherdson tweaked his model and estimated that the ISM report actually signaled about 300,000 new jobs in October, which is way ahead of the 225,000 forecast by economists surveyed by Bloomberg. 4. Gold prices settled at $US1.145.70, down 1.9% for the day. The yellow metal got as low as $US1.137.10, its lowest level since April 2010. This came as the dollar strengthened. The DXY climbed 0.5%. 5. Meanwhile, WTI crude oil prices jumped 2% after a report showing inventories climbed by less than expected. The EIA reported oil stockpiles increased by just 460,000 barrels last week. Analysts surveyed by Bloomberg were looking for 2.35 million barrels.